Laura Neuweiler is Office Manager with over 10 years of experience providing administrative and business support to the Managing Director and staff members. Her wide range of responsibilities include monitoring and controlling of the entire office administration, direct project assistance, support of the financial department in preparing financial reports, evaluations and budgets. Laura Neuweiler is also responsible for the management and coordination of the commercial apprentice training within the company. With her academic and professional background as a translator and interpreter she has specific experience in linguistics and intercultural communication as well as working experience in various international companies and agencies such as the Swiss Agency for Development Cooperation or Swiss Authorities and Courts, where she worked as a freelance translator. 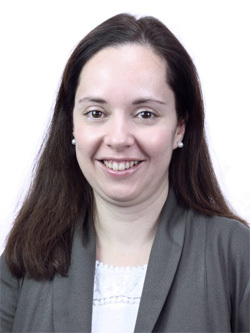 At Skat Laura has been engaged in the proofreading, editing and translation of publications in Spanish language and has provided direct assistance in different projects, especially in Latin America. Qualification (Institute) Bachelor in Translation, B.A.